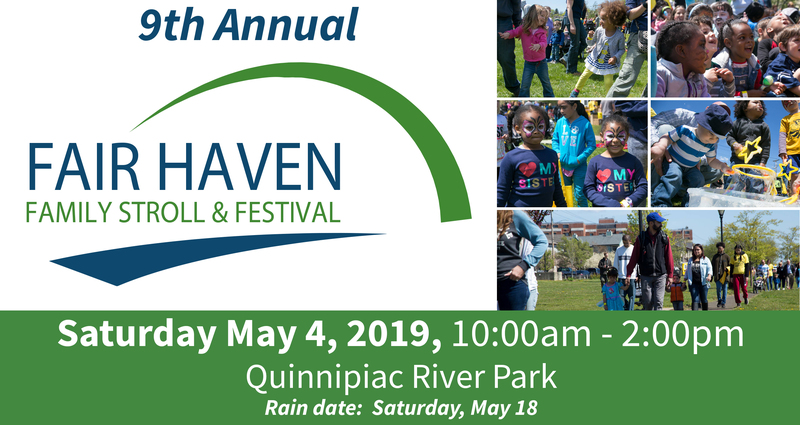 The Fair Haven Family Stroll & Festival spotlights the urgent need to increase access to high-quality early childhood education. In the New Haven area, for every 100 families looking for an infant/toddler slot, only 2 slots are available. For preschool slots, the number is better (46 of 100) but of these, only 61% leave the programs ready for Kindergarten, reducing the number of high-quality slots to 27. The cost of high quality care (ranging from $1,200 – $1,800 per month) further decreases access. Studies by Nobel laureate and early childhood education expert James Heckman show that early childhood education has the HIGHEST rate of return on each dollar invested when compared with all other stages of education. Heckman explained: “Early nurturing, learning experiences and physical health from birth to age five greatly impacts success or failure in society. The most economically efficient time to develop these skills and abilities is in the very early years when developmental education is most effective….enhancement and prevention through early childhood development is more life and cost-effective than remediation.” Building on Heckman’s equation, President Obama said, “Every dollar we invest in high-quality early childhood education can save more than seven dollars later on, by boosting graduation rates, reducing teen pregnancy, even reducing violent crime.” In terms of New Haven, the potential rate of return on one dollar invested is 14-17 dollars back. New Haven has the largest achievement gap in the country, meaning it has the greatest disparity in academic achievement between low income and non-low income students. The gap is officially measured through national testing by third grade, but studies confirm that this gap begins at a much earlier age: starting in infancy, widening during toddler and preschool years, and solidifying by the time a child enters kindergarten. A child from a low-income family hears an average of eight million fewer words per year than a child from a wealthier family. That’s more than 30 million fewer words by the time the child turns four.